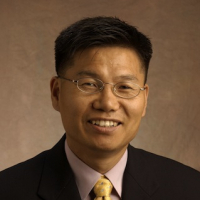 Dr. Myong K. (MK) Jeong is a Professor in the Department of Industrial and Systems Engineering and the Rutgers Center for Operations Research at Rutgers University. He received his BS in Industrial Engineering from Han Yang University, Seoul, Korea, in 1991, MS in Industrial Engineering from Korea Advanced Institute of Science and Technology, Taejon, Korea, in 1993, MS in Statistics from Georgia Institute of Technology, Atlanta, Georgia, in 2002, and Ph.D. in Industrial and Systems Engineering from Georgia Institute of Technology, Atlanta, Georgia, in 2004. He was formerly an Assistant Professor in the Department of Industrial and Information Engineering, the University of Tennessee, Knoxville. He worked as a senior researcher from 1993 to 1999 at the Electronics and Telecommunications Research Institute (ETRI). He has focused on developing data mining techniques, process monitoring and control procedures, and optimization techniques for machine learning. The applications include various industries such as gas/oil, semiconductor, transportation, bio-energy, computing, electronics, and automobile. He has published over 60 journal papers including Technometrics, IEEE Transaction on Semiconductor Manufacturing, IEEE Transactions on Systems, Man, Cybernetics, Pattern Recognition Letters, and IIE Transaction on Quality and Reliability. He received the Freund International Scholarship and the National Science Foundation (NSF) CAREER Award in 2002 and in 2007, respectively. His research has been supported by the National Science Foundation, National Transportation Research Center, United States Department of Agriculture, Qatar National Research Fund, Electronics and Telecommunications Research Institute, and various industries. He has been a consultant for Samsung Electronics, ETRI, KISTI, and other companies. He is an associate editor of the IEEE Transactions on Automation Science and Engineering, International Journal of Quality, Statistics and Reliability, and Advisory Board Member of International Journal of Advanced Manufacturing Technology. He is a senior member of IEEE. Data mining, sensor data analytics, process monitoring, and intelligent transportation. N. Kim, M. K. Jeong*, B. Lee, H. Lee, S. Lee, and Y. Moon (2014), "A Graph Kernel Approach for the Simultaneous Detection of the Competitive Technology and Technology Groups," IEEE Intelligent Systems, 44-51. K. Lee, N. Kim, and M. K. Jeong* (2014 ), "A Sparse Signomial Model for Classification and Regression," Annals of Operations Research, 216, 257-286. N. Kim, B. Lee, H. Lee, S. Lee, Y. Moon, and M. K. Jeong (2012), "Automatic Detection of Influential Patents Using Singular Values," IEEE Transactions on Automation Science and Engineering, 59, 723-733. F.M. Oliveira Neto, L. Han and M. K. Jeong (2012), "Online License Plate Matching Procedure Using License-Plate Recognition Machines and New Weighted Edit Distance," Transportation Research Part C, 21(1), 306-320. O. Omitaomu, M. K. Jeong*, and A. Badiru (2011), "On-Line Support Vector Regression with Varying Parameters for Time-Dependent Data," IEEE Transactions on Systems, Man, Cybernetics, Part A, 41(1), 191-197. Y. S. Jeong, O. Omitaomu, and M. K. Jeong* (2011), "Weighted Dynamic Time Warping for Time Series Classification," Pattern Recognition, 44, 2231-2240.